Bruichladdich Distillery, on the island of Islay was originally built in 1881. It survived the 20th century almost intact, despite the cyclical nature of the whisky business. Corporate whim was to close it in 1994, but a group of private investors brought it back to life in 2001. Drawing on artisanal skills and a determination to challenge and disrupt traditional convention, they created a huge range of thought provoking and very high quality whiskies; Bruichladdich, Port Charlotte and Octomore, that were 100% distilled, matured and bottled on Islay. The maverick newcomers then further infuriated whisky traditionalists by introducing The Botanist, the first and only Islay Dry Gin. 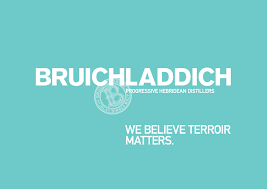 There are no jobs with Bruichladdich Distillery at the moment. Sign up to email alerts below to get notified when new jobs are added. Get the latest jobs from Bruichladdich Distillery sent direct to your inbox!